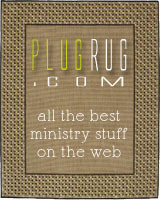 PlugRug.com is taking off! With several hundred visitors every day, it’s quickly becoming a great place to collaborate around some of the best ministry resources, tools and ideas on the web. 1. Make your submissions stand out by using an avatar. The default “P” image tends to blend in to the crowd. Get noticed when you contribute to the PlugRug community by using a profile picture. 2. When submitting material, use a good title, brief description and accurate tags. This will have a big affect on whether people choose to check out the story or not. Accurately describe what your recommended material is about and why you think others should check it out, too. This is perhaps one of the most valuable aspects of a social site like PlugRug. If you plug it, say why you like it and think it’s valuable. If you bury it, feel free to do the same. 4. Don’t be afraid to bury! 5. Subscribe to PlugRug’s RSS feeds. There’s feeds for all published stories, all upcoming stories, upcoming and published stories for each specific category, which helps you stay up to date with all the latest recommended material for your ministry niche. There’s even feeds for individual users whose submissions you typically find to be valuable. 6. Avoid constantly submitting only your own material. It actually works against you since people tend to ignore your site and your submissions after a while. Try adding the Plug Button to your site and let other people submit your material if they recommend it. 7. Link to the primary source, not to someone else’s post that links to the source. Pretty self-explanatory. It’s annoying to go to one site just to have to click another link to finally see the story. Take us straight there. 8. You don’t have to visit PlugRug to submit a link. At the bottom of your profile page there’s a bookmarklet you can add to your browser. Use this link in your browser to easily submit stories with a single click.